Yekaterina Bourykina is a character, creature and weapons artist on World of Warcraft at Blizzard Entertainment. 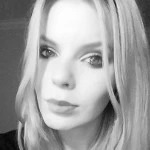 She previously worked at PicturePlane in Arlington, Texas where she was a 2D and 3D illustrator working for clients such as Hasbro, EA, Activision, Disney, LucasArts and THQ. We caught up with Katia to discuss how she broke into the industry; how she developed her colourful, appealing art style; and her advice for young artists. I started drawing from a very young age, being inspired by fairy tales and runway fashion shows. I used to make paper dolls with my cousin: we’d create themed ideas and design outfits for them. After high school I ended up going to The Art Institute of Dallas in hopes of becoming an illustrator or a manga/comic book artist. 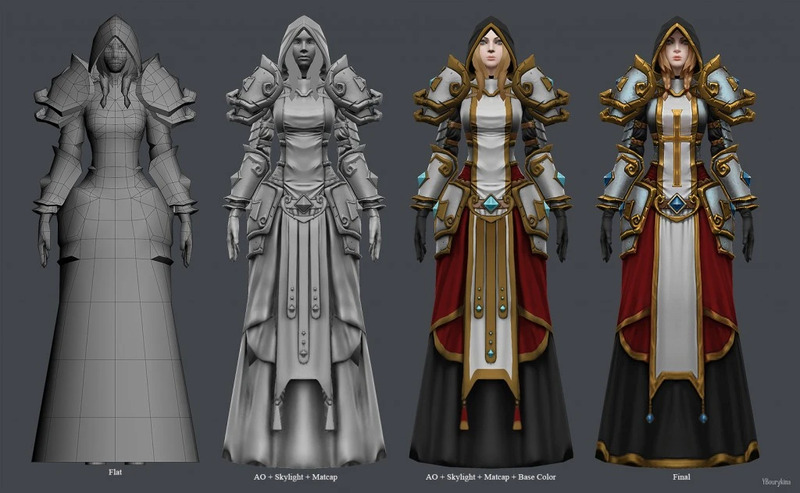 In my last year, a teacher asked me why I didn’t raise my hand when he asked who was interested in character modeling – apparently, I wasn’t terrible at it! School only got me so far. I learned the tools and met a lot of great people, but online communities like Polycount are the reason I am where I am today. I posted work on there and made great friends who gave honest feedback and pushed me past my limits. I started at PicturePlane a little after graduating, where I ended up becoming a general artist. There everything was done for print: we did videogame covers, posters, banners, ads and full campaigns, as well as toy packaging. There I learned the power of diversity – and of V-Ray. I worked with a lot of different clients and their assets, working on a super-cutesy kiddy-style project then a super-realistic one right after. I learned so much there, and got to work with an amazing team of artists who I will always be thankful to for taking a risk and hiring me right out of school. I was at PicturePlane for almost three years and it was very comfy and stable, but I always wanted to make games, so I put in my two weeks’ notice in the first week of January of 2013 and decided to live off my savings and work purely on my portfolio for six months. My dream studio was Blizzard. I always loved the hand-painted look of its games, so my focus was to hit that style. After a few months, I posted my Castanic fan art [you can also see an updated version in 3D at the foot of the story] on Polycount’s ‘What are you working on?‘ thread and Kathy [Zuniga], one of Blizzard’s art scouts, emailed me about showing my work to the WoW team. It was one of those emails that you stare at for a few minutes before you realise what’s happening. I was going to submit my work to the studio in a few months after I felt I had more to show, but this was better. After some months of phone interviews, a test, and an on-site with my possibly new team, I got an offer letter from my favourite studio for my first in-house game development job. Now I work with another awesome team of people who I am inspired by daily, and am truly thankful to be a part of. My personal time is spent looking through a lot of art. I dig through the ‘What are you working on?’ and ‘Show your hand painted stuff, pls!‘ threads on Polycount. I also look through the Ten Thousand Hours group on Facebook. I’m an admin there, and also keep out an eye for people who are developing a WoW style because I love doing paintovers (particularly on weapons) when I have some time to spare. 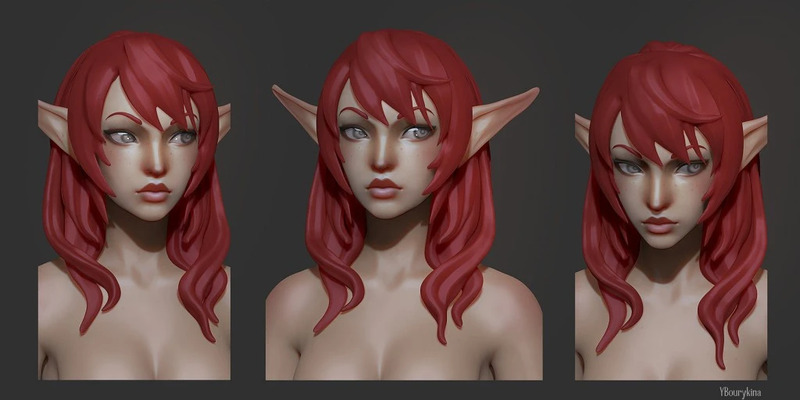 I’ve always had a passion for teaching and mentorships, so I finally started a Patreon the other week that consists of tutorials, current 3D personal work, 2D character art, and monthly mentorships. It’s a bit time-consuming, but I love to help people with their work as well as talk to them about battle plans if they want to shoot for certain studios. Outside of art, I love playing Heroes of the Storm and StarCraft II with my boyfriend during lunch, or Kingdom Rush – to which I develop a rather unhealthy addiction every time I come back to it. The other day, I went to Anthony Jones’ artist mixer and I ended up putting together a list of things that I felt would help people who are starting out, as well as links to some of my favourite articles. You can read the list here on ArtStation.